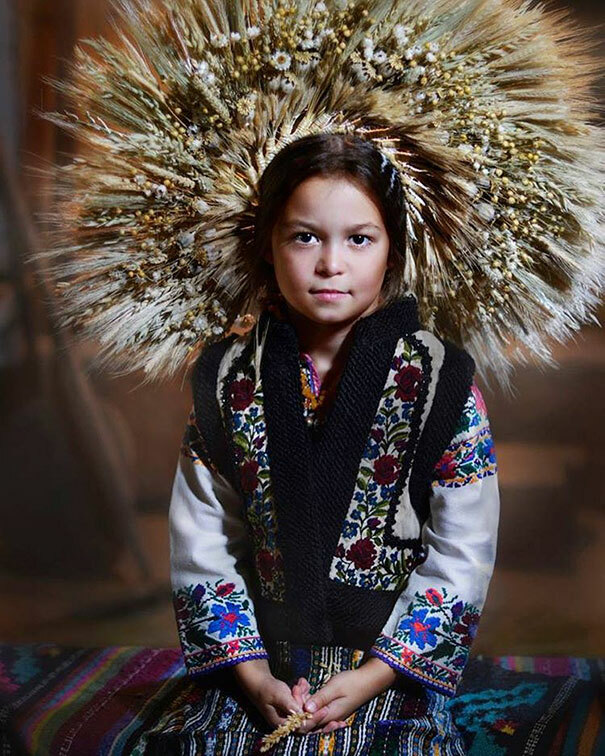 The Ukranian stylist/photography workshop known as Treti Pivni (translation: Third Rooster) are bringing back one of their homeland’s more visually striking traditions by giving it a new meaning. 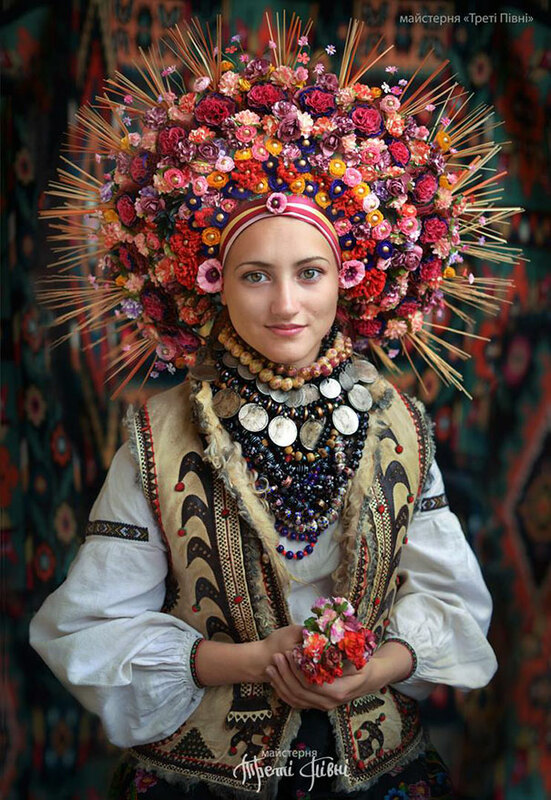 Traditionally, the headdresses, known as vinok, were worn by young, unmarried women as a sign of their purity and eligibility for marriage. 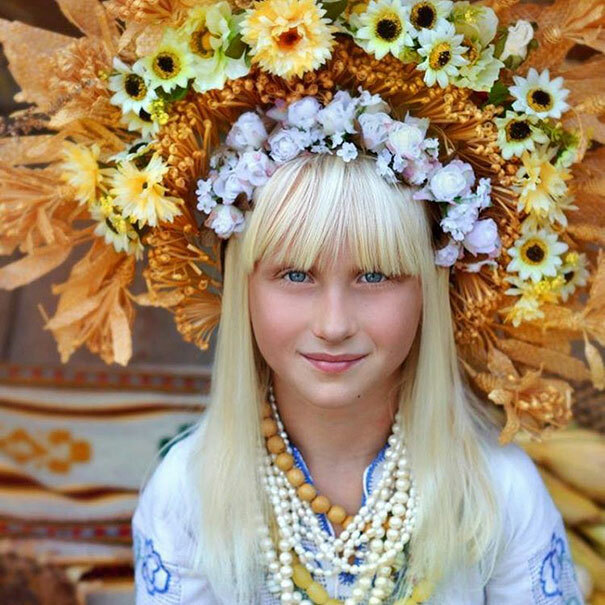 In fact, in pre-Christian times, the headdresses were thought to protect innocent girls from evil spirits. 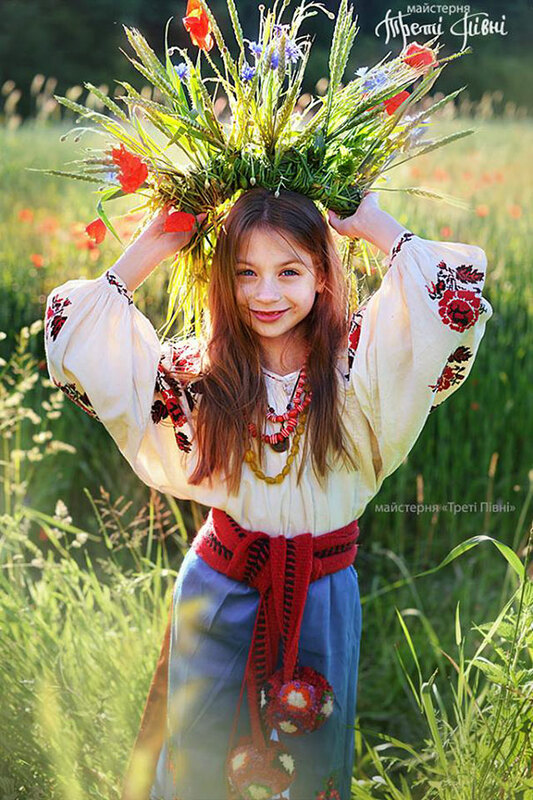 Since the 2014 Ukrainian Revolution, there has been an understandable surge in national pride. 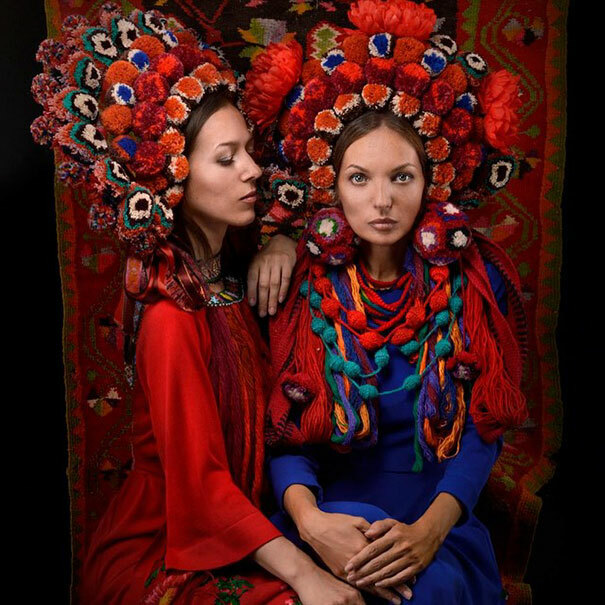 In response to their country’s mounting troubles with Russia, Treti Pivni have repurposed the headdresses to serve as a sign of peace and hope and unity. 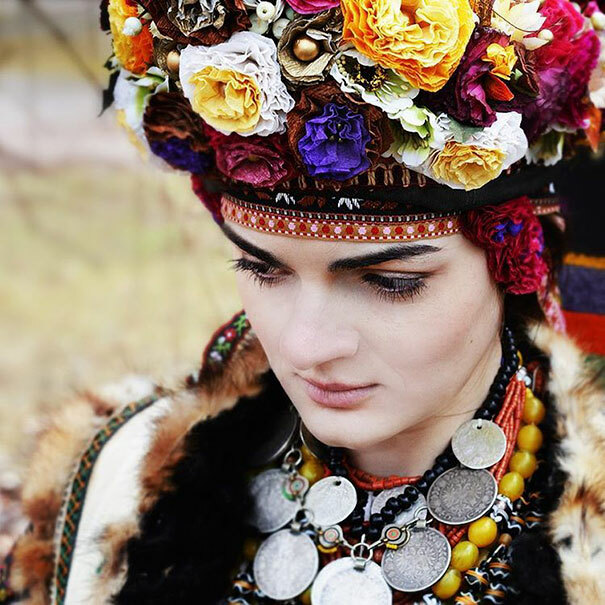 The project is also intended to share some of their Ukranian culture with the wider world. 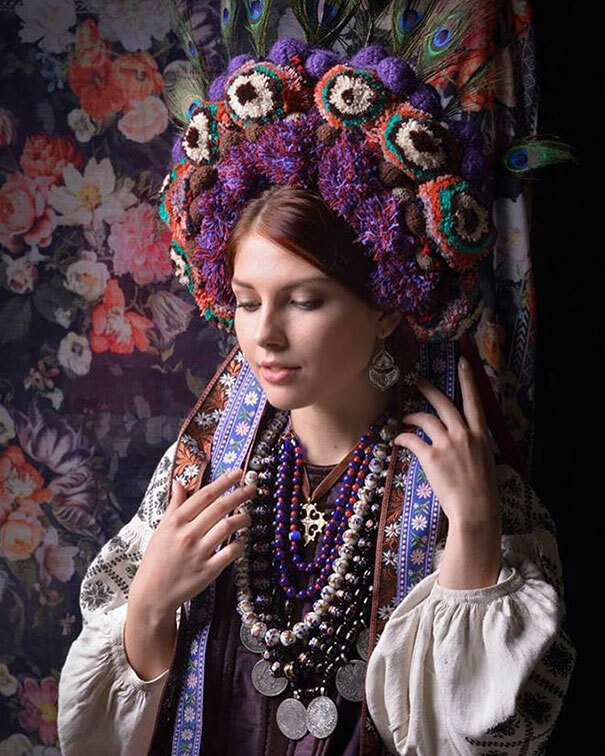 At a time when we could all use a little beauty and comfort in our lives, the project seems especially well timed. 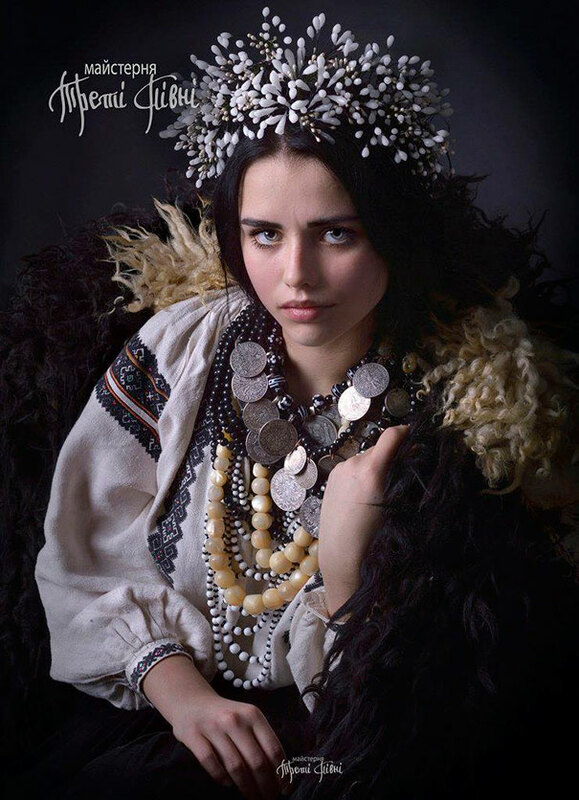 Check them out on Instagram and Facebook! All images property of Treti Pivni. 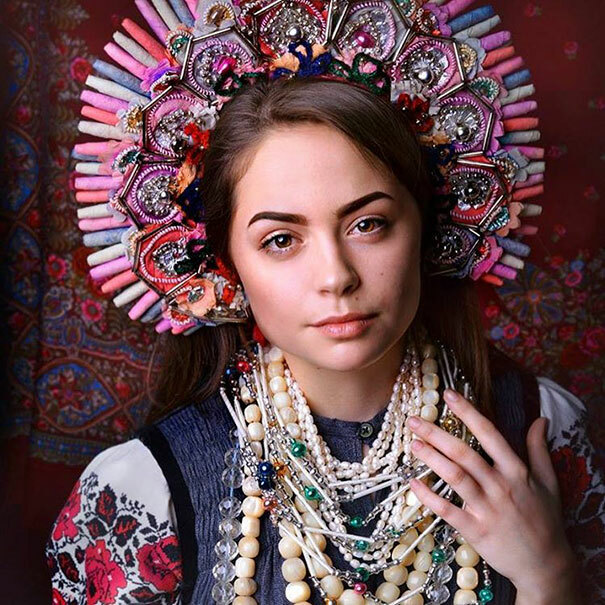 Categories: Art, Fashion, Photography | Tags: culture, fashion, photography, Postaday, Russia, spring, Treti Pivni, Ukraine | Permalink. I would have given this ten points if that was possible. Before the internet, the average US Citizen knew very little about the rest of the world. National Geo was about it. 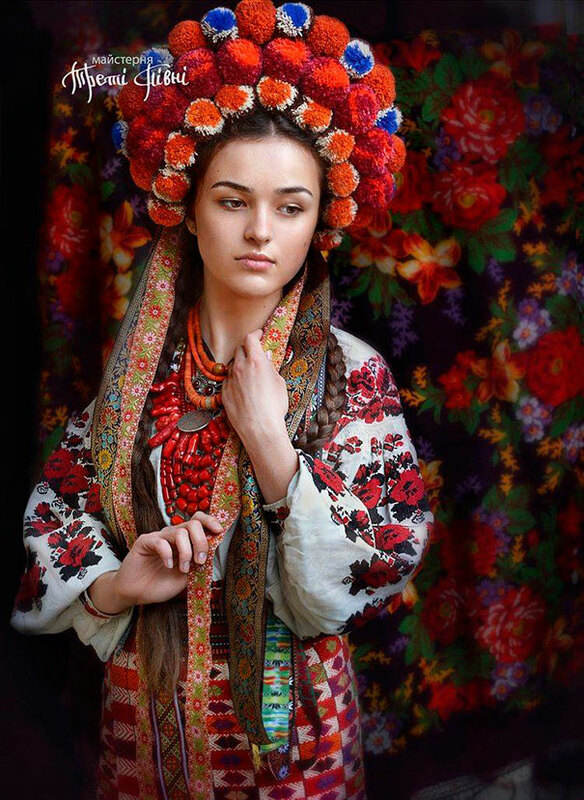 Today, I love learning new things about the rest of the world. So, this was a high point for me. Thanks for finding it. There are some that I don’t want near me but learning about the foods of the rest of the world are also of great interest. That sounds like a fun internet search… Hmm. There may be a food feature in my future! 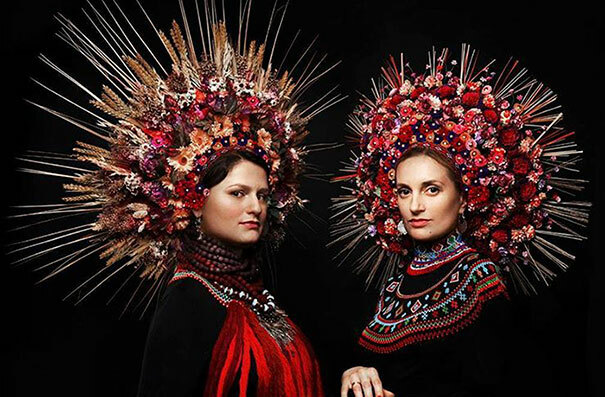 These headdresses are amazing and the photographs are beautiful. 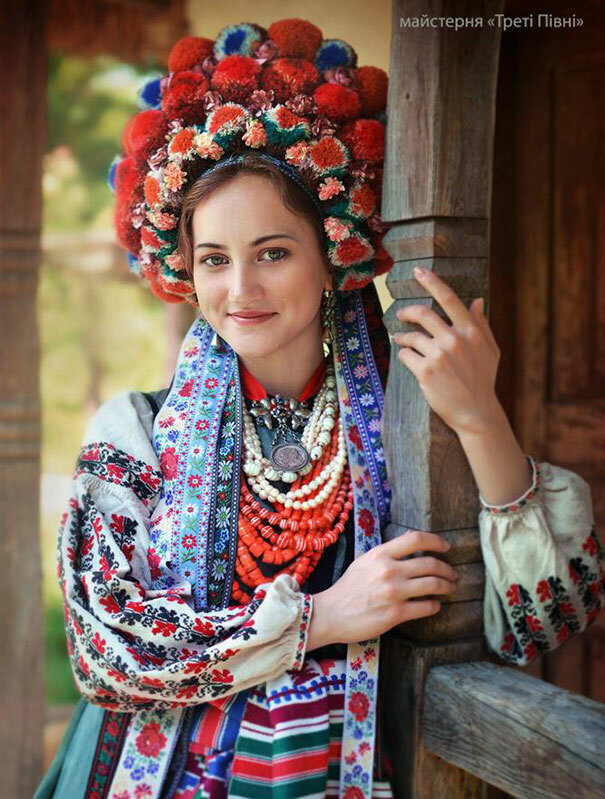 I have known quite a few Ukrainian people throughout my life so have passing familiarity with some of the traditional clothes worn. 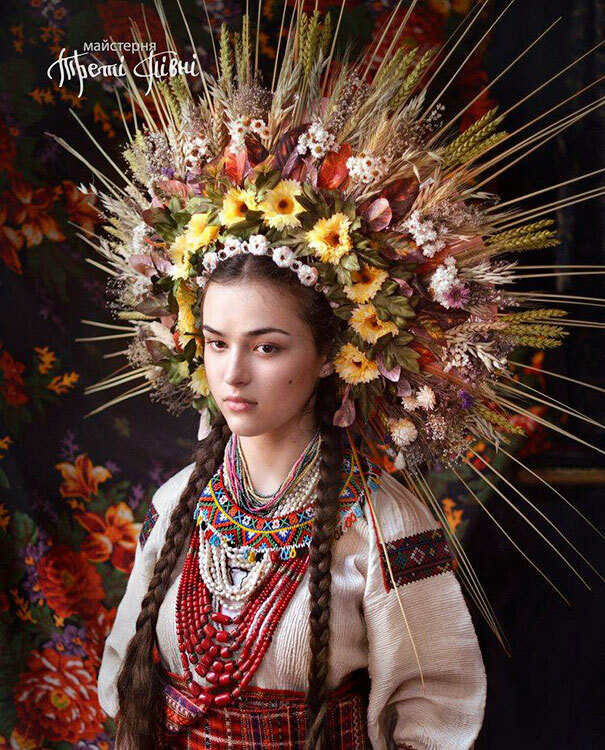 I have never seen headdresses quite this large and elaborate before though. They really do kick things up to the next level! 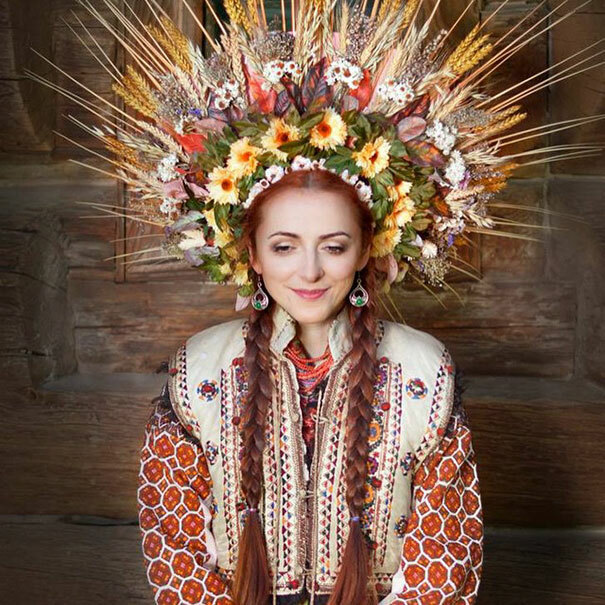 Lovely, and the models make wearing one of those headdresses look easy. That’s a great point. I imagine they hurt! 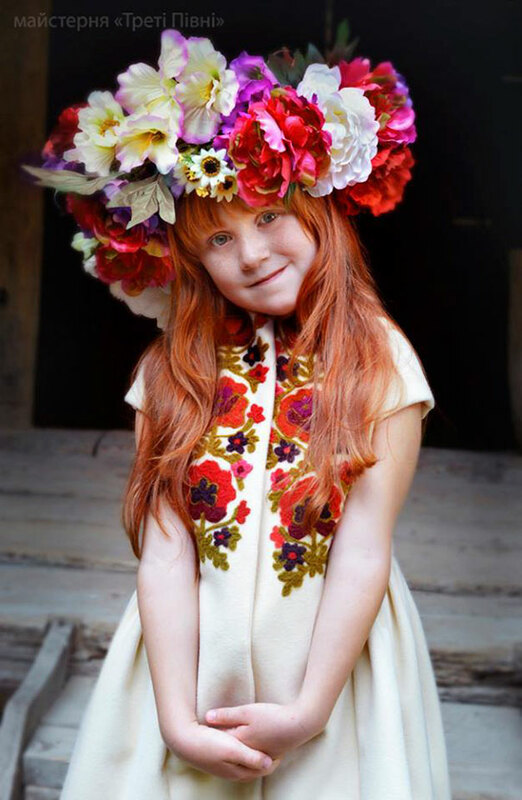 Beautiful people and beautiful custom!